Love My Maids is proud to offer the Fort Worth, TX area trusted, reliable cleaning that leaves Fort Worth homes and offices looking their best. No matter what your cleaning needs may be, a trusted and professional Love My Maids team member can provide you with professional and reliable cleaning services. When you want your Fort Worth home to be clean and pleasant to come home to, but you don’t want to spend all your free time cleaning it, Love My Maids is here to help. Whether you’re interested in having a clean house for a special occasion, like having the family over for the holidays or an epic graduation party or you’re looking for a little extra muscle for spring cleaning, Love My Maids has your needs covered with professional cleanings. These are all essential services that eat up your free time. That’s why we offer prompt, efficient, and professional cleanings so you can enjoy your free time rather than spend it cleaning house. Handwashing blinds and/or shutters (mini-blinds excluded). Visit the Fort Worth Zoo. Even if you’ve been before, this zoo offers constantly-changing exhibits that are entertaining to young and old alike. Everyone can find something to enjoy at the zoo, and the Fort Worth Zoo has much to offer. Check out the Fort Worth Water Gardens. It’s something worth experiencing and a great way to experience something unique to Fort Worth. Explore the Kimbell Art Museum. There is so much to do and see at the museum, and it is always adding new exhibits. From the permanent collection to rotating exhibitions, you can visit 100 times and discover something new each time! Best of all, a clean house will be waiting for you when your return from your grand adventures. Office cleaning is essential for Fort Worth area businesses. 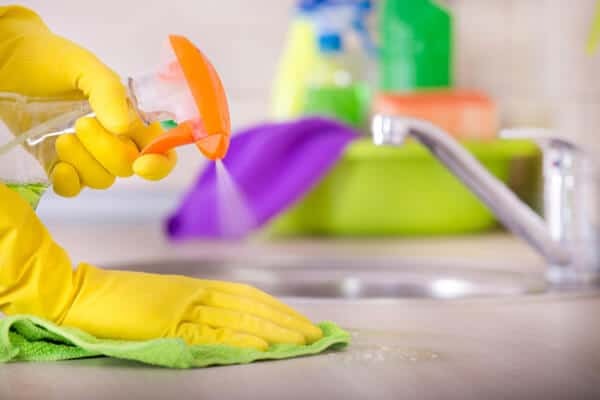 You don’t want your highly skilled employees taking time away from profitable pursuits to make sure your break room is clean or that the bathroom surfaces have been properly sanitized. Love My Maids will take care of these tasks so you don’t have to. Don’t wonder if your home or office is clean enough. Book professional cleaning services with Love My Maids and be assured that your cleaning needs are covered. Ready to get started? Simply contact us and we’ll get you a quote and schedule your professional cleaning service.